So after being stationed in front of the television for hours since I heard about the royal birth when the cute couple finally walked out of the Lindo Wing of St. Mary’s Hospital I was indeed jumping up and down with joy. It was like experiencing a real life fairytale right in front of me. 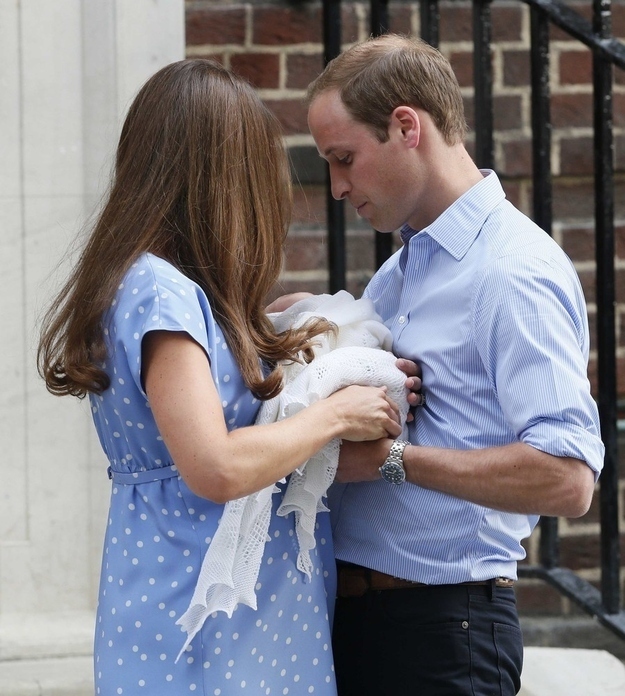 Both Will and Kate wore blue to commemorate the arrival of the beautiful baby boy. Now how adorable is that? 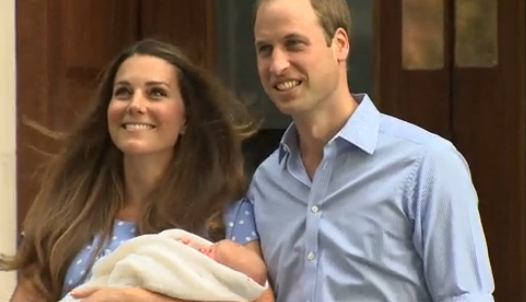 Kate was glowing while Will was basking in his new father glory. The two also talked to the reporters outside. 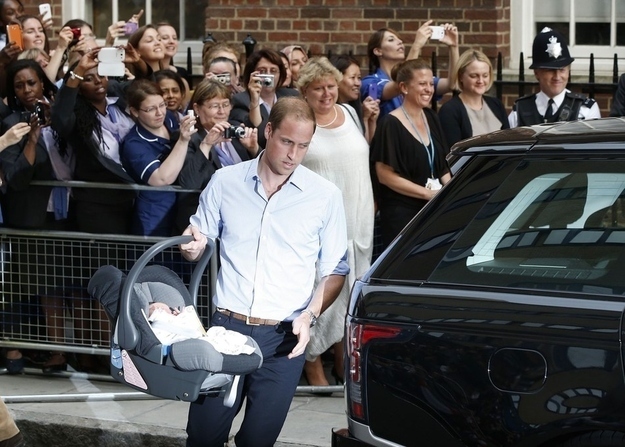 Prince William was super sweet when he said that, “I’ll remind him of his tardiness when he’s older”, knowing that the reporters had all been waiting there since really long. I loved Prince William’s jokes! 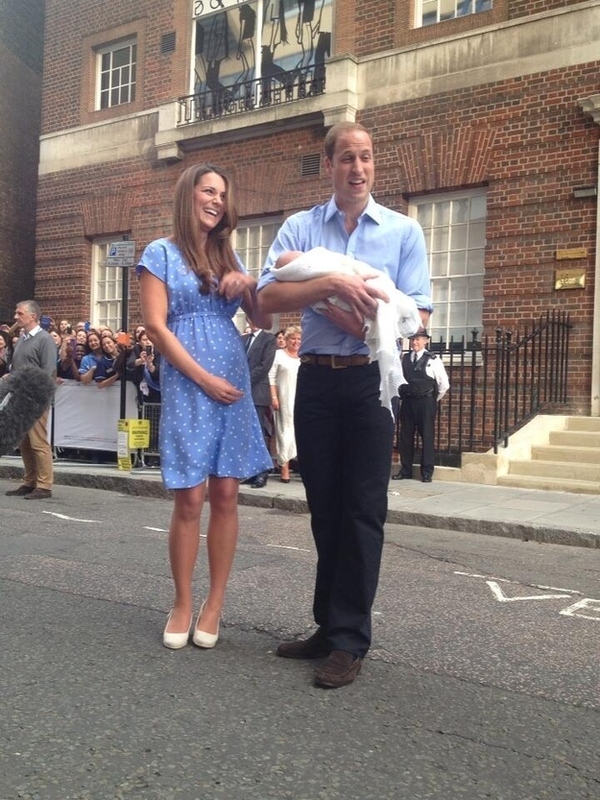 “He’s got quite a pair of lungs on him, I can tell you that!”, said the Prince joking about the newborn’s crying. Congratulations to the royal couple! And all the best for raising a wonderful little prince! I found this gif of the little prince waving at the paparazzi. I could just melt into a puddle of tears! Seeing this beautiful, perfect little family truly made my day! 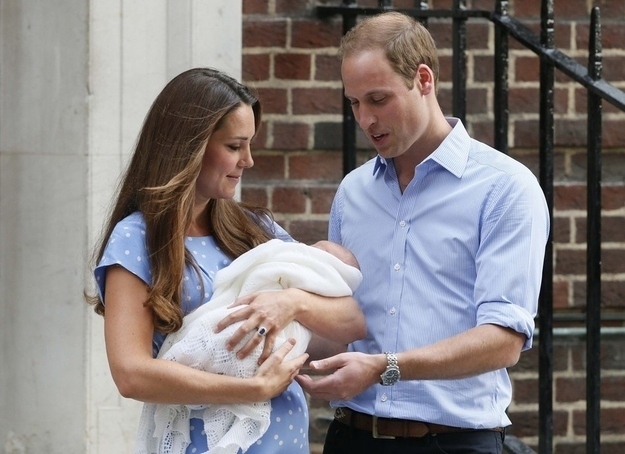 After chatting with the reporters the two put their baby in a car seat and Will drove his lovely family away to their home at Kensington Palace. She’s wearing heels! I would be in a maxi and flat of sure. She is so damn classy. Ikr! And her hair looks like that after being in labor all night! 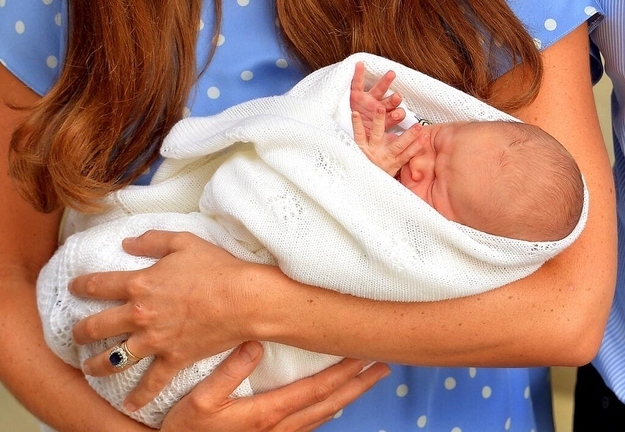 This entry was posted on July 23, 2013 by samtotally in News and tagged #royalbaby, #royalbabyboy, heir, Kate, kate and prince william, kate middleton, kensington palace, lindo wing, Prince William, royal baby, royal baby boy, royal birth, royal couple, Royal family, will and kate.